Got oil-tempered torsion spring problems? Need to replace the extension springs for sectional doors? Allow our company to help. All problems related to the spring system of your garage doors are very serious. And they might also raise safety concerns. Avoid worse troubles by contacting our team at the first signs of spring troubles. Give us a call if the springs become noisy or loose. Count on our fast assistance should springs snap. We are here to cover each and every garage door springs repair Houston need. In need of broken spring repair in Houston, Texas? There is no doubt that broken springs are serious problems which might also entail dangers. So don’t tamper with them. Instead, give our company a call. A pro will be there to replace them. It takes one phone call to our team to have such concerns resolved in a timely and effective manner. A pro will come out and ready to provide garage door spring replacement. Trust that the techs come out quickly whether the spring is broken or not. If springs must be replaced, the job is done on the double. This is imperative for the good balance of the garage door and its safe movement. Let us assure you that City Pro Garage Door Repair Houston only sends out experienced spring service pros. They are insured, fully equipped and ready to tackle any spring problem. When they come to replace springs, they also make sure the springs are properly adjusted. They check the door’s balance and movement to ensure you will be using a safe door. In the meantime, springs need care. You can call us for any garage door spring repair and expect quick assistance and high-quality work. A pro will come out to do any job requested. We offer solutions to keep springs in the best possible condition and as safe as they can get. The cost to either fix or replace springs is affordable. And all pros are experts in their job. So do keep our number and let us know if you need help with your springs. 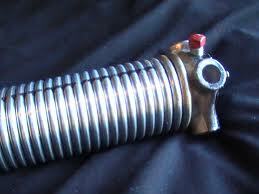 Need to replace the torsion spring? Want to replace the broken pulleys? Seeking an expert in garage door springs repair in Houston? Call us up.